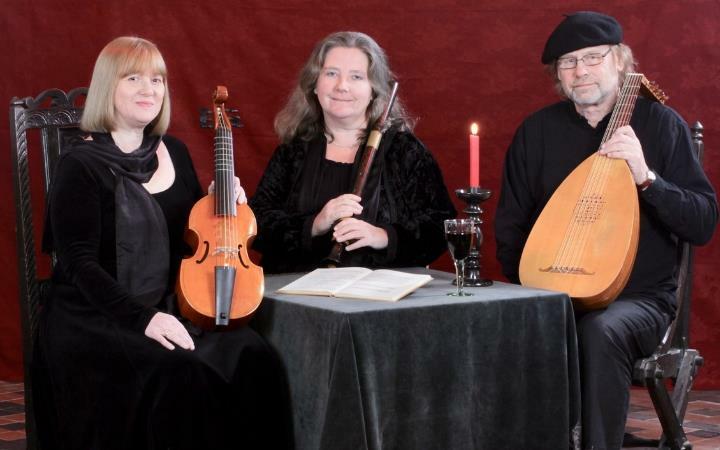 Singing and playing on lutes, viols, recorders and bagpipes, the group presents tunes heard at the royal court by composers such as John Dowland and Francis Cutting, reflecting the upper-class preoccupation with fine lace, dainty slippers and colourful clothes. The trio also play and sing music popular at lower levels of society, including rounds and catches on petticoats, garters and hats! This event is promoted by the Unitarian Meeting House for Bury Festival.